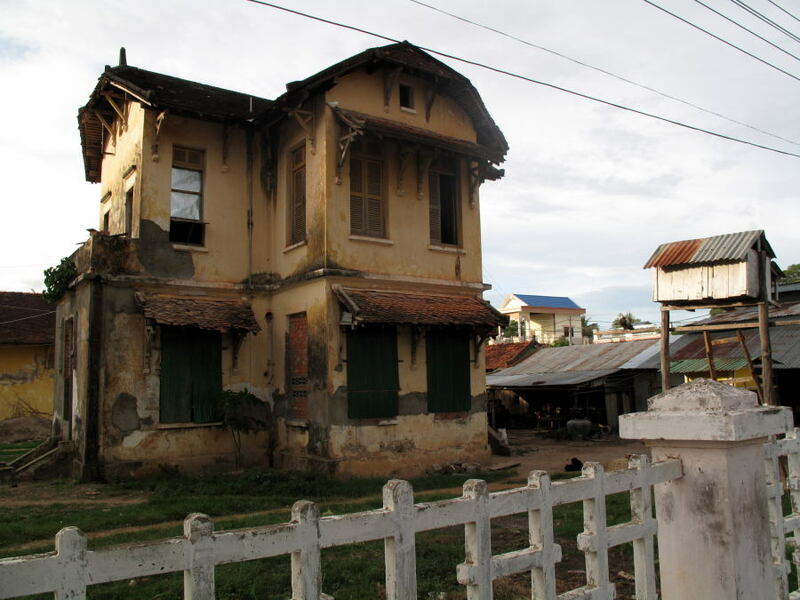 Photos of old buildings around Kampot. Click on any of the thumbnails to see the full size image. 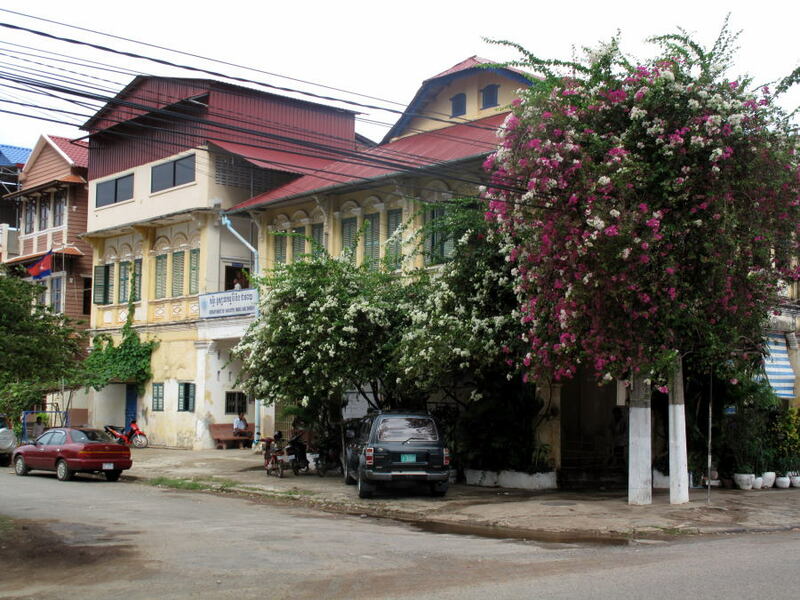 Kampot has been settled for centuries, but the current layout of the city along with the oldest buildings date from the French colonial period of the late 19th and early 20th century. Most of the old buildings are in a rather sad state, but there are several good examples that have been restored to the former glory. 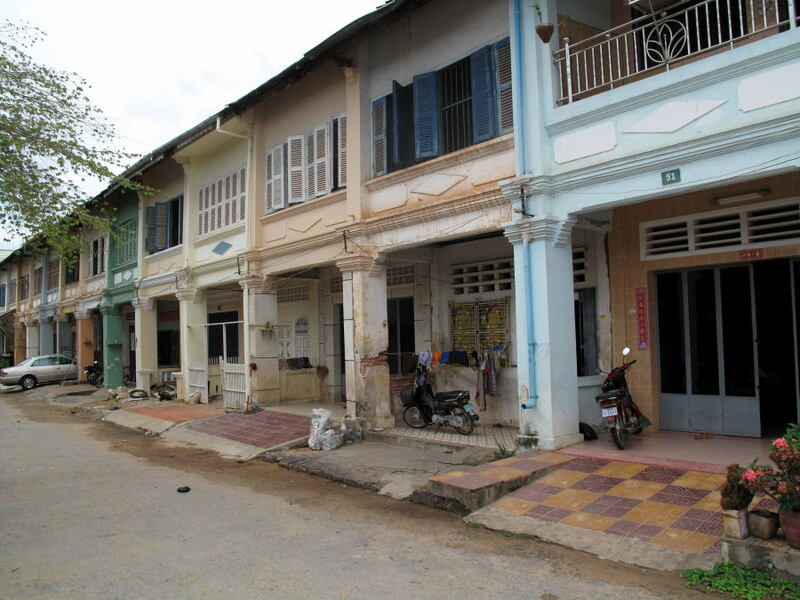 Most of the commercial buildings are two story "Chinese" style shophouses, although unlike many such buildings in Southeast Asia, the examples in Kampot are much less rigidly uniform and display a variety of styles. 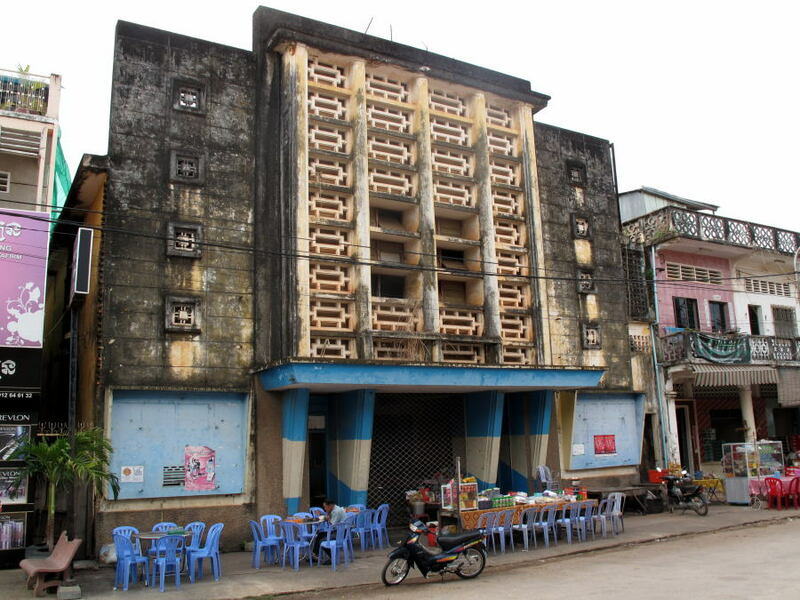 There are also many government buildings, included the prison, as well as a small cinema.